At the end of spring, my good friend Nadia Meli (who's an amazing wedding photographer & an awesome human) hosted The Vision Workshop - a beautiful 3 day event for photographers who are looking for more than just 'this is how I do it'. With only 5 participants at a time, it gets very intense, raw, intimate, very quickly. 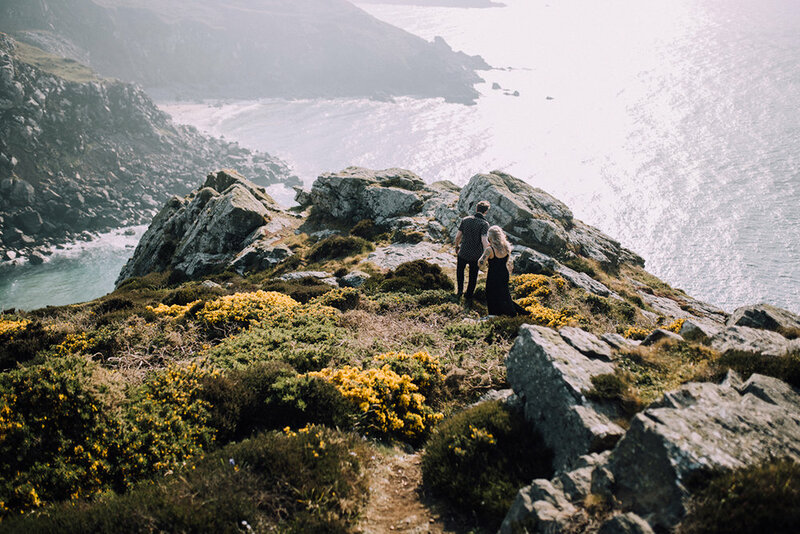 I was very grateful when Nadia invited me along to shoot some behind the scenes, and I got to travel to a corner of the UK that I've never been to but have always wanted to go - Cornwall. So I charged my batteries and packed my trusty 6D for a 6-hour train journey to St Ives. We stayed in a gorgeous mansion on a clifftop, right by Zennor Head. Green fields, rugged cliffs, bright yellow blooms and bunnies everywhere you look. You could see, hear, and feel the water crashing down on the rocks, right next to our safe hideaway home. There was no reception, no distractions - as if everything was perfectly placed to put your mind at ease and let you do the work. Here are the links to all the amazing ladies I met and shared these memories with: Anna // Chrissy // Melanie // Nina // Yewande. And, of course - Nadia.